Earlier this year, an April Fools story emerged claiming that Telstra and the NBN Co were set for a mega-merger to fix all the problems within Australia's two most divisive telecommunications players. Although hastily laughed off at the time, six months later, the joke is now starting to look more like a plausible reality. Ever since Telstra spun off its infrastructure service into a standalone business - InfraCo - as part of its T22 strategy, speculation has mounted over whether the telco giant will make a play for the government body behind the national broadband network (NBN), should it be privatised following its completion in 2020. Telstra chairman John Mullen further fanned the flames of speculation when he commented that “some form of combination” between InfraCo and the NBN Co would “add a lot of value uplift to Telstra shareholders”. "What we have done is to make it quite clear we are creating an InfraCo inside Telstra so that when and if a government decides to privatise NBN, and they have a problem on their hands doing so, Telstra can potentially provide a solution," he said during a tense shareholder meeting on 17 October. While NBN Co has so far kept quiet on the subject, according to Mark Iles - executive analyst at Tech Research Asia, a potential sync up could be possible. "It’s extremely likely Telstra will end up buying NBN and it's definitely feasible before 2022,” he said. “Now they have completed the structural separation they are well placed to take it over. "The main sticking point will be just how much debt the government is willing to write off in order to be able to pass it to someone else given the sensitivity of next year being an election year and needing to explain to voters how they lost billions of taxpayer dollars." Latest estimates have said the final cost of the completed NBN will reach $51 billion while its debt will stand at $21.4 billion by 2022. According to telecommunications consultant Paul Budde, at least $25 billion will need to be written off to make the NBN financially viable. Elaborating further, he claimed Telstra would have to turn InfraCo into an entirely new company for any such merger to be approved. While Budde agreed that it makes “total sense” from Telstra’s vantage point to purchase the NBN Co, the resulting potential new entity could signal a scary shift back to Telstra’s former days of monopoly in the 1980s. "In my opinion, it doesn’t really matter who owns the wholesale infrastructure NBN company,” he said. “If Telstra would be allowed to buy it, it would have to start a totally new structural separated company for the NBN: that is with separate management, separate board, different name and so on. "The disastrous situation of the Telstra monopoly of the 1980s, 1990s and the [former Telstra CEO] Sol Trujillo years in the early 2000s are still fresh in the minds of many people. "Certainly, lessons have been learned from that, and that period of telecoms monopoly is something we definitely don’t ever want to see happening again." Meanwhile, Foad Fadaghi - analyst at Telsyte - likewise concurs that competition laws and preventing any likelihood of a monopoly will be paramount. “It will come down to the regulatory conditions that are set for any buyer of NBN,” he said. “It’s unlikely the ACCC will accept any deterioration of competition such as allowing Telstra to favour its retail divisions, or indeed let Telstra return to its pre-NBN structure." Meanwhile, beyond the competition issues, NBN has met with a heavy consumer backlash over the quality of its speeds and services. And now with 5G ready to roll-out next year, the future of the fixed-line broadband service has been called into serious question. Citing the fastest speed in his own area - 40MBps - as an example, Iles added that 5G has the potential to be very disruptive. However, while Budde concurred that the NBN has issues with its quality, he said that NBN Co still has the opportunity to provide a valuable service. 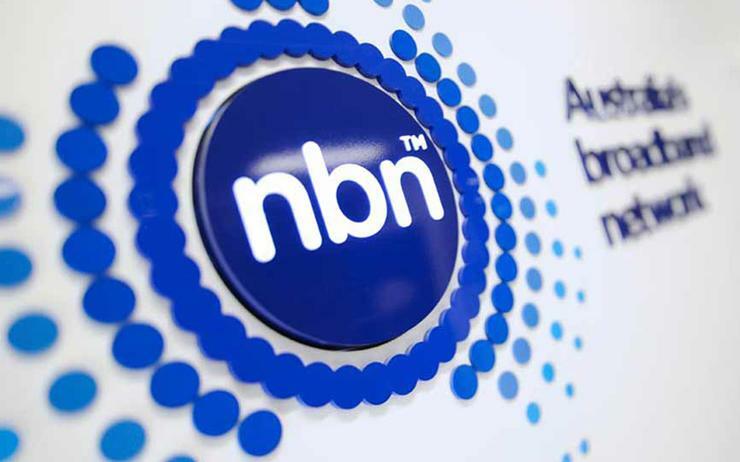 “Large numbers of NBN customers are not happy with the quality of their service and this opens a way for other technologies to offer competitive solutions and 5G could be one of them,” he said. “However, with a good quality, NBN the need for alternatives would diminish and this would mean that a mobile alternative – such as 5G – would be limited. With a good NBN, 5G could capture 15-20% of the market - those being mobile-only broadband users." For now, it will remain a case of wait and see if and when Telstra will make its next move.